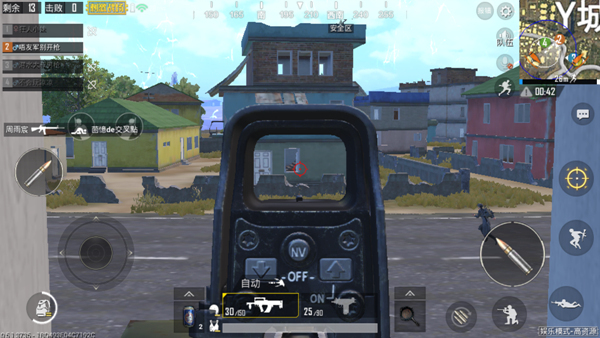 Comments Off on The PUBG Mobile guide entertainment mode has low stress tolerance and reduces the number of errors. In the middle period of classic mode, players had a higher fault tolerance rate. As the game rhythm becomes more and more tense, to the decisive moment of the final round, the fault-tolerance rate is getting lower and lower, and the player makes a little mistake, and may pass the chicken. The only difference is that the start of the entertainment mode is equivalent to the classic game. The only difference is that the firearms resources may be limited. In the circumstance that there are many people in the circle, the player can only succeed in eating chickens only by reducing the possibility of making mistakes. Next, let’s take a look at what mistakes should not be committed. There are two types of gameplay that can be used to collect machine guns in the Battlefield mode. One is the full-weapons model, and the other is the high-resources model. 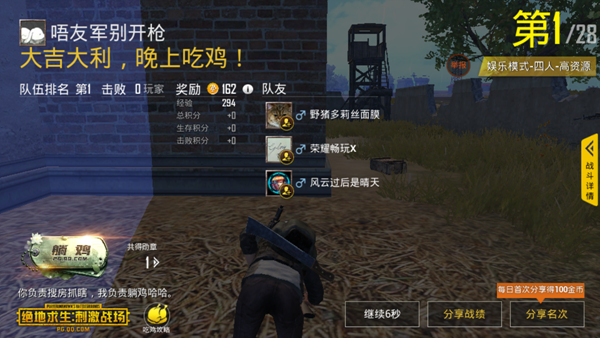 Such as the DP-28 light machine gun feels good, the ballistic trajectory is relatively stable, is a kind of firearms that many players sincerely love, but it is not suitable for players to pick up in this mode. When the player uses the DP-28 light machine gun to play against the enemy, he loses half. Why do you say this? DP-28 light machine gun has a fatal disadvantage: slower replacement, 8 seconds of replacement time is enough to give the enemy a chance to counterattack, during this period of vacuum, players will be trapped. The situation. And because of the excellent data of the DP-28 light machine gun, it also has limitations in terms of accessories. It cannot be equipped with accessories other than sights. The same applies to M249. In addition to the melee play mode in the Battlefield mode, players in the rest of the entertainment modes can pick up different firearm resources. 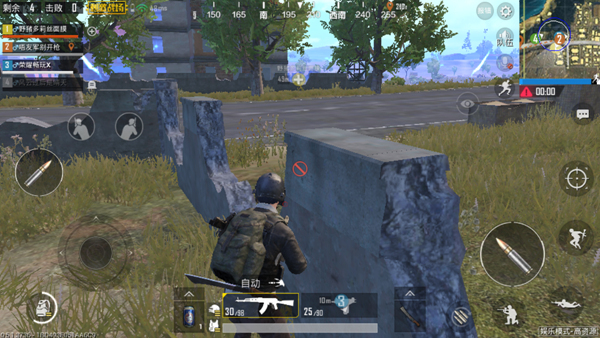 The safe area is small, with the number of players up to 28, and it is easy to shoot. 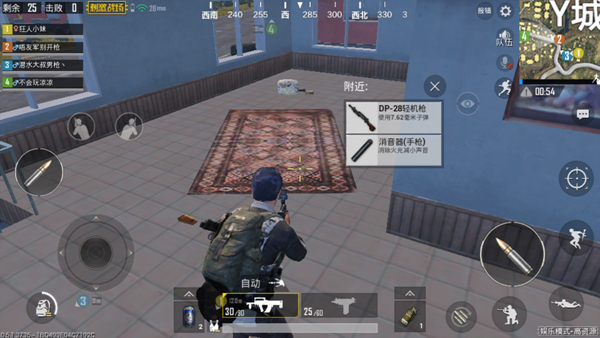 At this time, some impulsive players will choose to stand out and shoot a gun. Such a wrong practice is very likely to make players be plugged into instant boxes. The entertainment mode can also be teamed and teamed. Compared to the single mode, the difficulty is much higher. Players need to consider how to cooperate with teammates, play clever tactics, but also need to pay attention to their own situation, to ensure that they did not fall into the encirclement of the enemy. The game has just begun. The collision between each team may be relatively small, and everyone is relatively cautious. In the middle of the game, gunfire continued inexhaustible, this time is also the time for players to quickly reduce staff. In team mode, it is easy for players to make a mistake for sensibility reasons: teammates fall down and run to him to rescue them, and even some teammates continue to send out the help signal through the voice of the team. It’s not that teammates are safe behind the bunkers, and they’re all enemies in all directions. A ten second save time might be a countdown to death. Players should not be disturbed by teammates. They should rationally judge whether it is worthwhile to help their teammates, directly abandon their teammates when necessary, and judge where there are enemies through the position of teammates to prepare for the game later. Players play games to relax and reduce stress, so they are not highly focused during the operation. Making mistakes is unavoidable. However, if the player can reduce the number of low-level mistakes in the game, the player’s chicken consumption rate will naturally increase slowly.